Придворная музыкальная культура в России XVIII века. Учебно-методическое пособие. 4-е изд., стер. The book is intended for pedagogical universities students as an informational support for self study within the course “Scientific research in art and music education” (master’s degree). 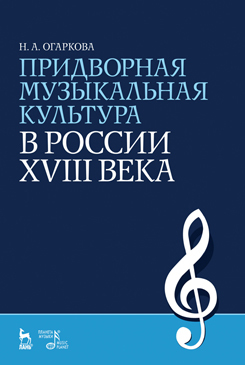 The author’s analysis of the court music culture in eighteenth-century Russia gives an opportunity to learn the phenomenon of music in different forms of the court life: official ceremonies and rituals, holidays, balls and masquerades. It also reveals the role of music in the aristocratic leisure: chamber music, amateur musical performances and concerts. The special emphasis of the book is the special features of music genres, developed in the context of the court music culture. Е. В. Герцман — доктор искусствоведения, профессор, ведущий научный сотрудник сектора музыки Российского института истории искусств; О. Б. Никитенко — кандидат искусствоведения, доцент кафедры музыкального воспитания и образования Института музыки, театра и хореографии РГПУ им. А. И. Герцена.